Over the years, you have made some-shall we say-questionable choices in your portrayal of mental health issues on your television show. From filming folks with substance use disorders as they actively use, to confrontationally interviewing individuals with delusional disorders, to asking your audience to vote on if a cognitively-impaired individual’s life is worth living-yes it seems safe to say that your show is rather exploitive in nature. I view this as a huge ethical issue. Why? Because folks with mental illnessess are already a vulnerable population. And TV shows like yours are clearly out to exploit this population. What truly gets to me though, is that you, unlike say, a Jerry Springer or a Maury- you call yourself a psychologist. You claim the title “doctor,” and then use it to actively harm people that you took a vow to help. How disgusting. How unnerving. How disserving to our field. 1). The segment was completely voyeuristic in nature. You focused the episode on a woman with anorexia who was emaciated. It was clear that you were using this very ill young woman’s appearance for shock value purposes. This was irresponsible for many different reasons. Firstly, you are blatantly exploiting someone who is psychiatrically compromised. Secondly, you are furthering a cultural narrative that eating disorder sufferers are always alarmingly underweight- a narrative that is completely untrue. Did you know that the majority of folks who struggle with eating disorders are not underweight? Did you know that weight is just one of many many different symptoms or outcomes of eating disordered behavior? The false belief that “eating disorder equals emaciation” continues to deeply harm the eating disorder community, and your show is responsible for perpetuating that harm. 2) You highlighted numbers. This was unsurprising, given the fact that anorexia sensationalism is such an issue in the media. But as a psychologist, you should understand that sharing numbers and diet specifics is never helpful to the discussion about eating disorders. In fact, the National Eating Disorder Association (NEDA) has published guidelines for responsible media coverage of eating disorders. One of these guidelines is to “avoid playing the numbers game.” NEDA informs that sharing this type of information “can turn a well-intentioned story into ‘how-to’ instructions for someone to follow.” To put it bluntly, you have just aired a show which may be one of the triggers that spurs on a viewer’s genetic loading for an eating disorder. 3) Your show focused on a young, white, emaciated woman. Or, in other words, the very stereotype of what an individual with an eating disorder looks like. The field of eating disorders, and eating disorder coverage in general, has historically focused on this individual- young, white, and thin. This has been very damaging, because the assumption has become that men do not get eating disorders. Folks in larger bodies do not get eating disorders. People of color do not get eating disorders. Older individuals do not get eating disorders. LGBTQIA individuals do not get eating disorders. The reality is, eating disorders do not discriminate. So when your show focuses on and visually represents the one subset of the population that has historically been the “face” of eating disorders, you contribute to the injustice that all other subsets are already facing. 4) At one point, you attempted to use fear mongering about appearance- you warned the woman that she may have to go to the hospital, and would become “bloated.” This was grossly inappropriate. Using her fear of weight gain against her colludes with eating disordered thinking. It also shows your own internalized fat-phobia. 5) When you stated that this woman was not the “worst anorexic” that you had ever “dealt with”- where do I even start? First of all, comparing severity of illnesses can contribute to the “race to the bottom” symptomology of eating disorders. Simply put, competition is a common symptom of this illness, and thus your reference to not being the ‘”worst” is damaging for all involved. Also- the term “anorexic?” Seriously “doc”- are you this outdated in your terminology? The field of psychology has been veering away from labeling terminology for the past decade or so. For future shows, the correct phrasing would be “person with anorexia” (not that I am encouraging any future shows). 6) You stated that your interviewee was using “attention as currency,” and said “don’t reward her bad behavior,” to her mother. (A rather artless piece of advice which, shockingly, got a loud round of applause from the audience?) This instruction seriously oversimplified this complicated and multi-faceted mental illness. You spoke as if anorexia was purely a behavioral issue. Please hear me- It. Is. Not. Read “The Eating Disorder Sourcebook.” Read “The Handbook of Eating Disorders.” Read “Life Without ED.” Hell, read the DSM-5! 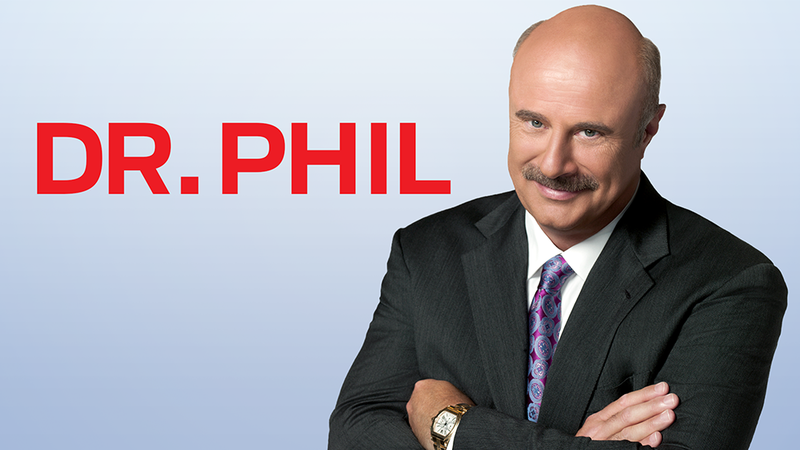 Dr. Phil, when you speak as a psychologist, you speak for the field of psychology. You have a large public platform. The public looks to you for advice on mental health issues. And while most practicing psychologists are largely unhappy about this, here you are. So I urge you- take your responsibility seriously. Remember your oath. DO NO HARM. *I encourage people NOT to look up this Dr. Phil episode. I did not write this to draw attention to the show, but rather to point out unethical behavior and mis-information as I see it. A thoughtful and well-stated response to atrocious treatment of a serious topic. I’m in the UK so an fortunate enough to not have Dr Phil on mainstream TV. This is a well thought out structured letter which hopefulleill inform him and the show producers for future reference. Thank you for your much-needed response to this incredibly concerning issue. I have not watched the episode (and don’t plan on it), but I appreciate your comments regarding the extremely harmful representation of a serious mental illness. As a dietitian who works with individuals with eating disorders, I appreciate your perspective and hope that it is heard by many. Thank you for taking the time to write this. The episode sounds horrible, and I feel so much for the person featured. I’m glad you are speaking out! This man is a charlatan and shameless narcissist. I accidentally became aware this episode was airing and googled it in my outrage that he was once again putting such a guest on display. So I’ve only watched a short segment off Youtube, but my stomach dropped when I heard him tell her she was not the worst anorexic he’d ever dealt with. The amount of ignorance!!! What is the purpose of saying that except to brag on his part?! Those words are very nearly a death blow to someone in the grips of a restrictive ED, not to mention the impact on the millions of susceptible viewers. The horror and disgust I feel is difficult to express, considering the pedistool his fans hold him on. And to encourage this idea that an ED is a tool for gaining attention?! Which as far as I could tell, she agreed with??! © Copyright Wildflower Therapy 2019. Theme by Bluchic.